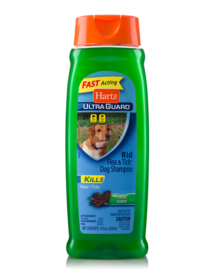 HartzAnimalsDogsCan My Pet Get Fleas During the Winter? You might be surprised to learn that while fleas thrive in humid, warm conditions – with the height of their activity in the spring, summer and even fall – they can and do endure the winter months by surviving in a variety of ways. You can protect both your pet and your home by using preventative solutions all year round. 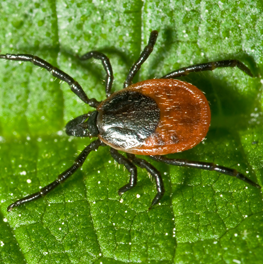 Many pet owners falsely believe that fleas die off in the winter, and therefore choose to forgo proper parasite control when the cold kicks in. While it’s true that these pesky hitchhikers can’t survive freezing temperatures, they intelligibly seek out warmer locations when the mercury drops. Location, location, location: The artificial environment created in our home by heating systems creates the perfect setting for fleas to survive and thrive. Optimum conditions for flea larvae are between 65-80 degrees Fahrenheit – the levels many homes are maintained at during winter months. Fleas can survive outdoors in temperatures as low as 33 degrees Fahrenheit for up to 5 days. This leaves them plenty of time to make themselves comfortable in your home. It only takes one: A single flea can enter your home by catching a ride on you or your pet. That one parasite has the ability to cause an entire infestation, as signs of a few means others will come when they come to the new housewarming party. Flea pupae can also remain in their cocoons until the surrounding environment is warm enough for them to emerge. The pupae remain dormant for more than a year waiting for a suitable, warm situation. When an optimally warm habitat is detected, the pupae in stasis will all hatch together. Flea eggs can live year round in protected areas like crawl spaces, porches and garages. Pesky Predators: Fleas will bite people, but they prefer mammals with fur. While they pose a minor annoyance to us, they can be a huge danger to our pets. 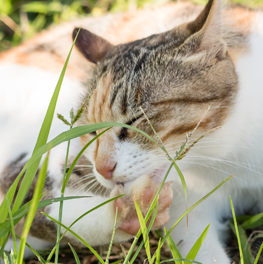 Some cats and dogs are allergic to flea saliva, which results in severe skin irritation and causes your pet to continuously scratch at the infected area. Cats and dogs can also develop anemia as a result of blood loss during a flea infestations. 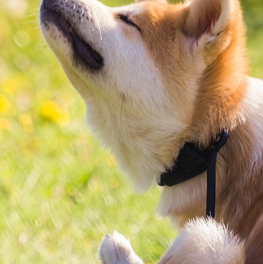 While the risk of your pet catching fleas in the winter is lower than other seasons, it is not impossible, making flea treatment necessary year round. 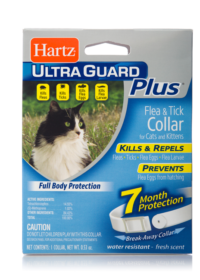 Hartz Ultraguard offers many forms of defense against these tiny invaders. 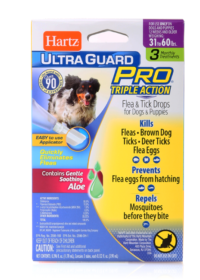 Topical Drops – Protect your pet for up to 30 days with a single application to kill fleas, and ticks, plus prevents re-infestation. Topical Sprays– Kill pesky fleas and ticks for up to 7 days while preventing re-infestation by stopping flea eggs from hatching for 30 days. Collars– Kills fleas and ticks for an impressive 7 continuous months, and can be worn in addition to your pet’s regular collar. Powders – Water-resistant powder effectively kills fleas, ticks and lice for up to 7 days. Shampoo– Shampoos provides your pet with immediate relief from pesky fleas and ticks. Each cleansing formula is specially designed to kill parasites on contact. Whichever treatment you choose, do your research or talk to your veterinarian to find one that is appropriate for your pet’s weight and age. Only use one method of flea and tick control at a time. Too much pest chemicals from multiple products used simultaneously may cause serious health issues and side effects.